At a glance, playing roulette may seem quite daunting. However, it is a very straight forward game once you get a hang of all the components attached to it. This is why roulette is still one of the most popular games in the world. Not only does the game have simple gameplay but it has big potential payouts too. Are you looking to play roulette online? Well, if that’s the case – we’ve got you covered. In this guide, you will learn how to play roulette online and find the best strategies on how to play roulette and win at South African casinos. Learn roulette here! Roulette is a fairly easy game to learn. In summary all you do; is pick a number, colour, even or odd and spin the roulette wheel. But, learning the basics and lessons for roulette is necessary if you’re new to playing the table game. So, in the game of roulette, you place a bet on one or more numbers and if the roulette ball lands on your selection on the wheel you win the payout which corresponds to the type of bet that you placed. The roulette wheel is divided into small compartments (but big enough for the ball to fit) which are coloured and numbered. The numbers differ according to the roulette variant; European Roulette and French Roulette consist of one 0, meanwhile American Roulette has single and double zeros. The wheel is spun in one direction and the ball is rolled around the edge in the opposite direction. Before the ball eventually falls into one of the segments, it circles around the perimeter of the roulette wheel. You win if it stops on your selected segment. Pick a number – Predict which number you think the roulette ball will land on, on the roulette wheel. Place your wager – However, be sure to check the stakes before you do this. So that you know what the payout will be in case you win. 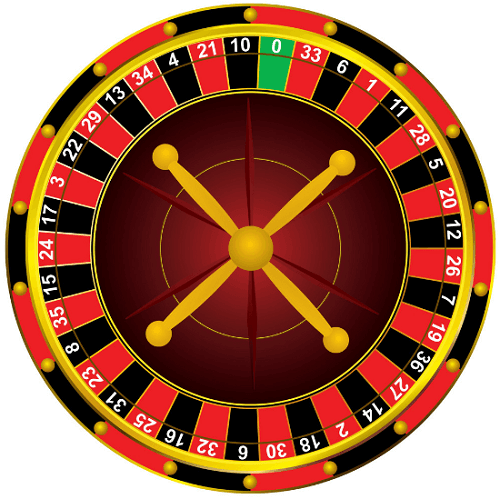 Win real money – A marker indicating the winning number will be placed on the roulette table once the ball stops. The casino will then collect losing bets automatically and also payout fortunate winners. This is if you’re playing roulette for real money. Play Again – You can play roulette again in case you’re feeling lucky. Punters can do this by clicking on the ‘re-bet and spin’ button. Should you wish to raise the stakes, click ‘double and spin’. Roulette is purely based on luck. However, we advise new punters to try the game on demo mode before they can commit to playing roulette for money. The best South African casinos do offer players an option to try out roulette for free. This will ensure that you become familiar and comfortable with the game before risking your money. More so, free roulette allows you to try out the different roulette variations there is. Learn more about online roulette.